I was leafing through People magazine on my break this afternoon when I spotted this photograph and caption. 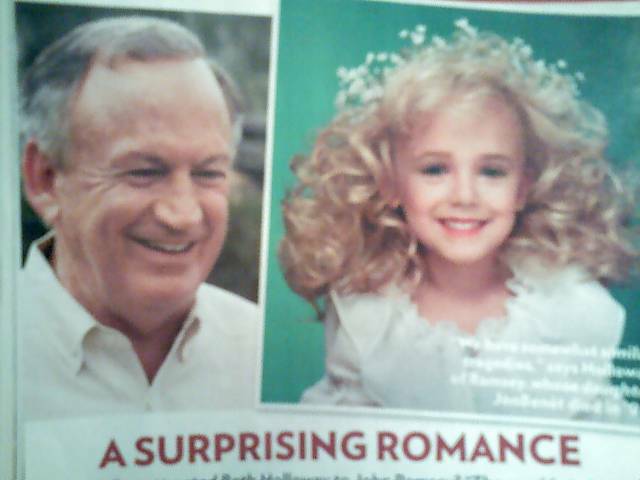 I'd say it's a surprising romance. I'm not sure exactly who the old dude is but I know that little smiling beauty queen is rather dead, making it the most surprising romance ever. But hey, they both look really happy about the situation so, who am I to judge? What editor in their right mind would approve this layout? Newer Post Less is just easier.